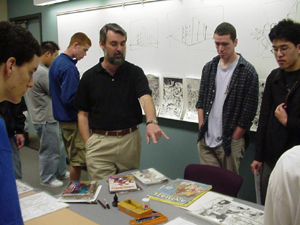 Professional Instructor, Randy Emberlin has worked as a comic book artist and cartoon animator for 25 years! He is best known for his work on Amazing Spider-man and G.I. Joe! 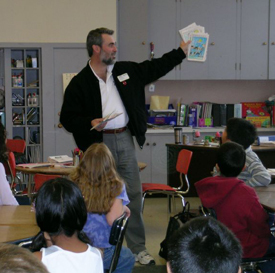 A former member of Young Audiences of Oregon and Washington, Randy teaches classes and gives presentations on drawing and comic books throughout the Northwest. He has also taught TAG, Sat. Academy, NWFSC classes and done workshops and assemblies in numerous elementary and middle schools. Learn to Draw Super-heroes, Cartoon Characters, Japanese Manga and more with Spider-man artist Randy Emberlin. Come and have fun learning to draw some of your favorite comic book super-heroes and cartoon characters, dragons, Japanese Manga fantasy warriors and princesses and much more. We will also experiment with animation using Zoetrope strips and flip-books!! All materials are provided! David Gilde and Randy Emberlin instructors. The Introduction to Animation class offers a first look at how to create animated films. Students start by drawing simple lines and shapes that move but quickly advance towards “acting that is drawn”. 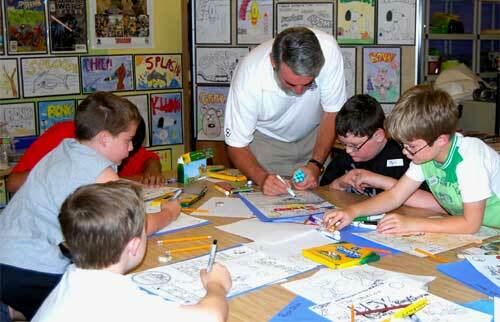 Exciting interactive lessons were designed to build technical skills as well as unlock personal creativity. Macromedia’s Flash software is the primary tool used in the program.